Ed Sheeran, one of the most popular music icons in the world today, is on a tour in India right now. Recently, when he landed in Mumbai, Bollywood celebs got together to throw a party to celebrate his visit. 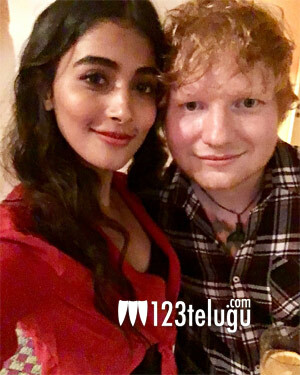 Among several other celebs, Pooja Hegde in particular was starstruck upon meeting him. For the record, Pooja has been dabbling with music a bit these days and she has also been learning to play guitar from her brother.